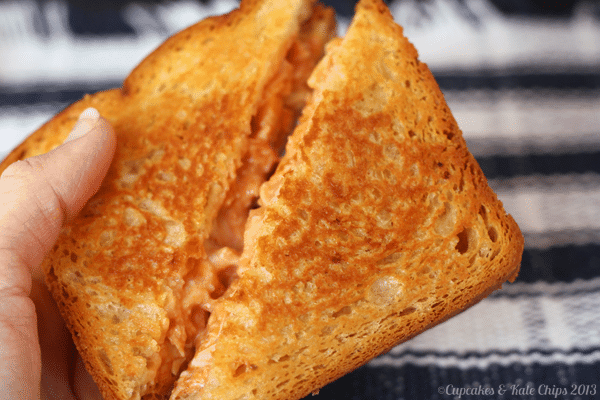 Your favorite wing flavor in an ooey, gooey grilled cheese. Make it gluten free, too, with Rudi's Soft & Fluffy Gluten Free Bread. 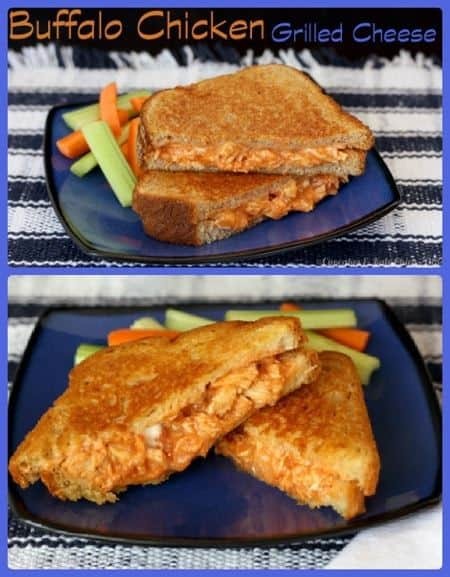 Buffalo chicken grilled cheese will lift your ordinary grilled cheese sandwich to new heights! 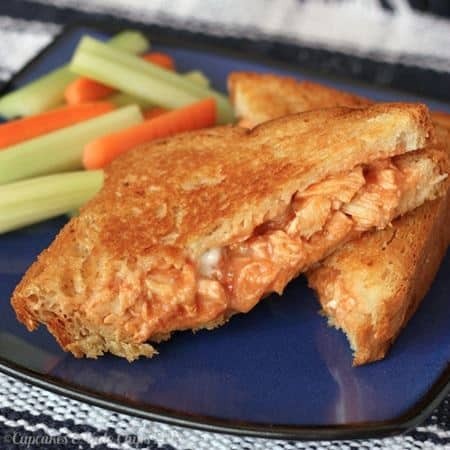 Shredded chicken, with a boost of heat from Buffalo sauce, lots of melted cheese, and of course, buttery toast for extra flavor. This isn’t a sandwich, it’s a meal! Disclaimer: The author received a full-value coupon redeemable for Rudi’s NEW Soft & Fluffy Gluten-Free Sandwich Bread, for recipe development and review purposes. All opinions are my own. 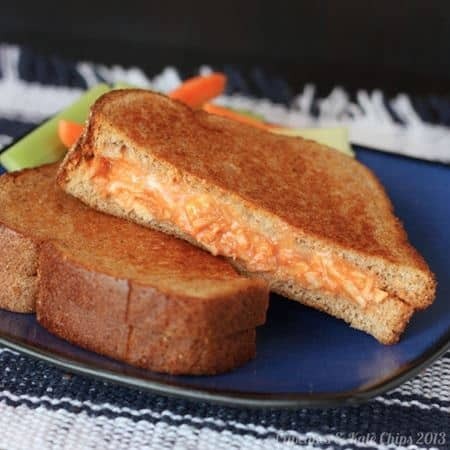 My mom use to make the butteriest, greasiest grilled cheese for me as a kid. You know, butter in the pan, bread slathered in mayo, two slices of individually wrapped American cheese between two slices of soft, white bread. When you picked it up, it flopped over because the bread could not support the weight of the cheese. Soooo good. I was so surprised when I thawed my first slices that you could squeeze it and even bend it without it just flaking apart into pieces. 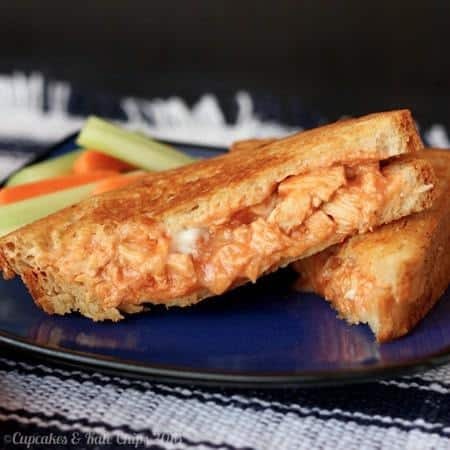 While The Hubby and The Bug eat Sloppy Sandwiches, I use some of my Buffalo chicken filling, making myself a fancy pants Buffalo chicken grilled cheese. And then did the same for lunch the next day. Have I tempted you enough yet? 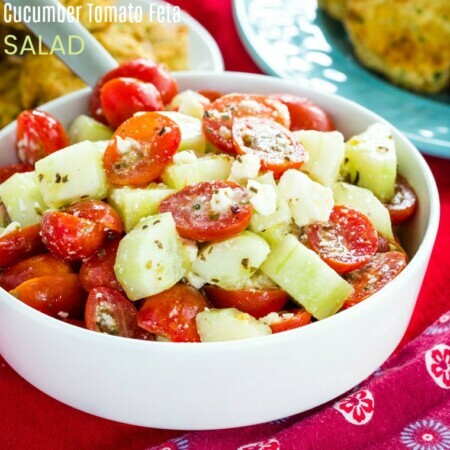 It is soft and chewy – so much closer to grilled cheeses of yesteryear! Heck, you don’t even need to fill the new Rudi’s Gluten Free Bread with all kinds of cheesy goodness and grill it up. 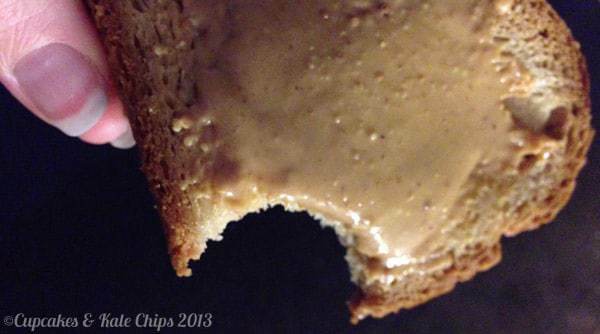 I am happy to just slap some peanut butter on one for a nighttime snack. Once this baby is born and I no longer have the darn lunch meat restrictions (I’m sorry, but microwaved turkey just isn’t the same), I will make myself a plain, old sammie!! And I can’t wait to try the Multigrain and Cinnamon Raisin varieties. Mmmm, dreaming now of a post-Thanksgiving turkey sandwich with cranberry mayo on Cinnamon Raisin bread. If you are gluten free, which variety are you most excited to try – Original, Multigrain, or Cinnamon Raisin? What is the first thing you are going to make with it? 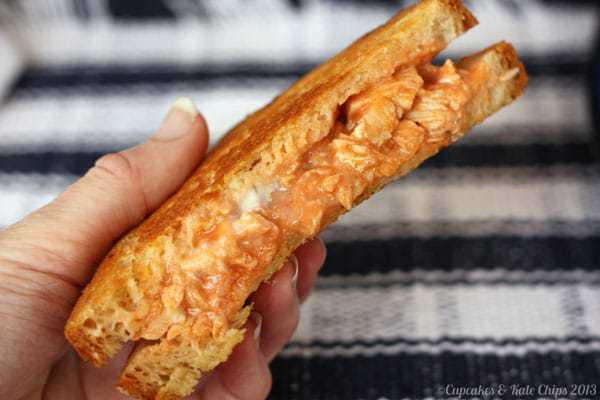 Indulge in a meal worthy of grilled cheese goodness, by making Buffalo chicken grilled cheese! In a large bowl, mix the tomato sauce, hot sauce, and chicken. Stir in the cheese until it is evenly distributed. Spread 1 t butter or margarine on each slice of bread. Place about 1/2 c of the filling on the unbuttered side of one of the slices of bread. Top with the other slice of bread. 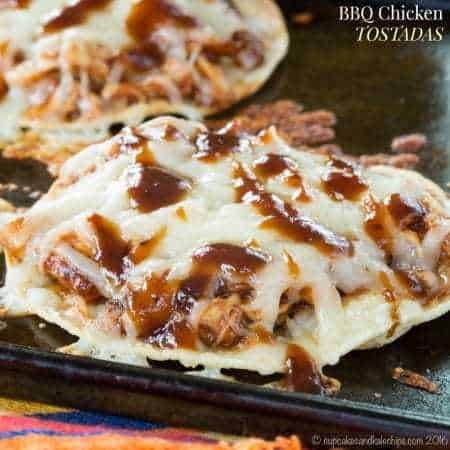 Cook the sandwiches for about 3-4 minutes per side, or until golden brown and the cheese has melted. 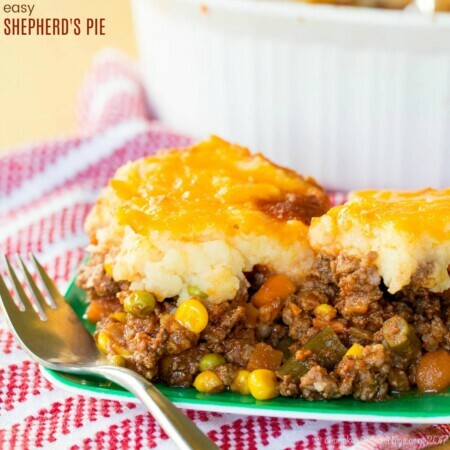 Covering the pan with a lid during cooking will help the inside get all warm and gooey before the bread gets too browned. Got this pinned to the Gluten Free Fridays board! Thanks for linking up! You’ve DEFINITELY tempted me! That looks absolutely amazing. I love buffalo anything and this looks insanely good. 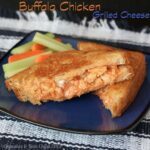 Crazy pregnancy – I adore all strong flavors and am now obsessed with Buffalo! I really need to find this Rudi’s bread locally. I’ve seen a few posts about how good it is and it LOOKS amazing. Now I’m on a mission! Yes, you do have to find it. So much better! I was in shock when I compared it to the earlier photos! My sister is a Rudi’s fan . And I believe, Brianne you have made me into a Rudi’s fan, too! This new bread truly is a huge improvement! Now this is my kind of sandwich! yum! Haha, me too! I love all things buffalo lately. 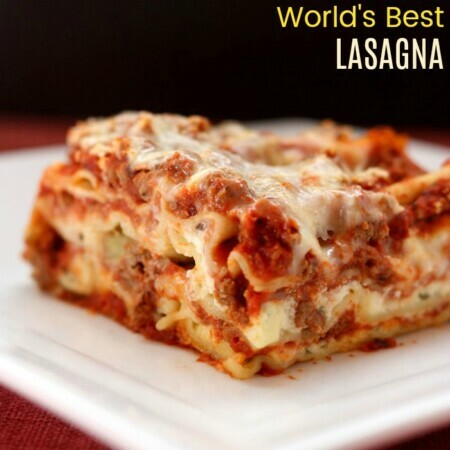 And gooey cheese – well, love that all the time!